The Lehigh Valley Youth Soccer League is thrilled to announce and welcome its new partnership with Capelli Sport. Capelli Sport has been named the exclusive teamwear and soccer equipment partner of LVYSL and will offer special discount pricing to all LVYSL clubs on kits, custom club and team apparel, and soccer equipment. 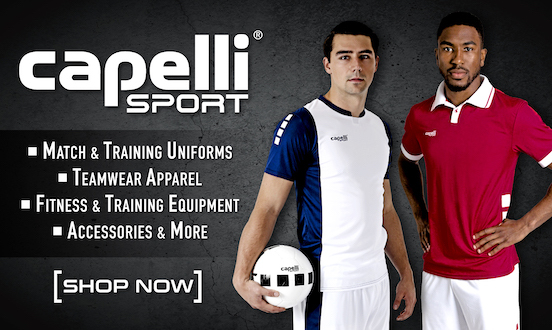 Look for special discount promotions in the coming seasons as well as Capelli brand wear at our tournaments. For specific order request, contact Lee Goldblatt, Capelli Vice President, at Lee.Goldblatt@capellinewyork.com.